Individuals, corporations and organizations often look for ways to support the community. The Volunteer Center is proud to offer an opportunity for you to support Operation Teddy Bear® (OTB), a volunteer-powered literacy program that provides schoolbags filled with books, educational materials and wellness tools, along with a lesson in kindness, compassion, volunteering and identifying emotions, to the area’s most underserved first grade students. 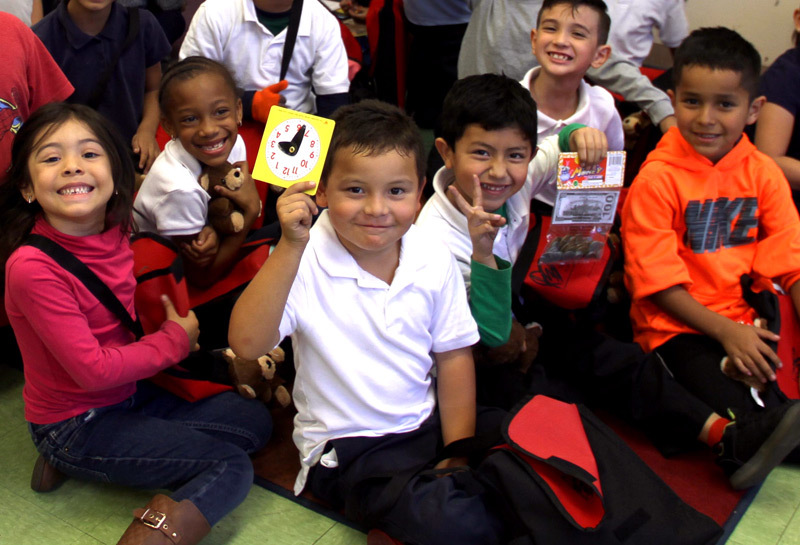 Each year, we work with local school districts to pick approximately 40 of the most underserved schools in the South Bay, Harbor, Long Beach and Compton areas. Each school has an average of four first grade classrooms and 120 first grade students per school. A sponsorship gives you an opportunity to create a partnership with a school, the first grade classes and your community. 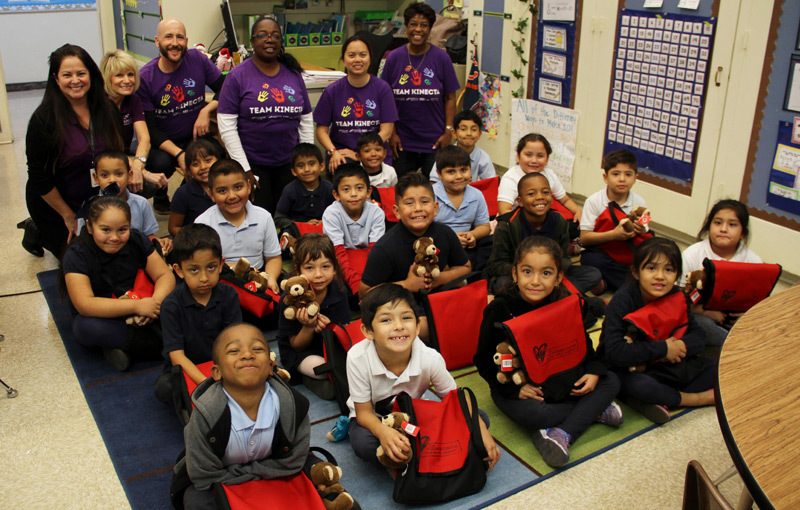 Operation Teddy Bear also gives volunteers a chance to help and inspire the children first-hand by packing and delivering the bags, as well as interacting with the students in the classrooms. Corporations and organizations can work together as a team and build a spirit of camaraderie while creating one of the best days in many of these children’s lives! 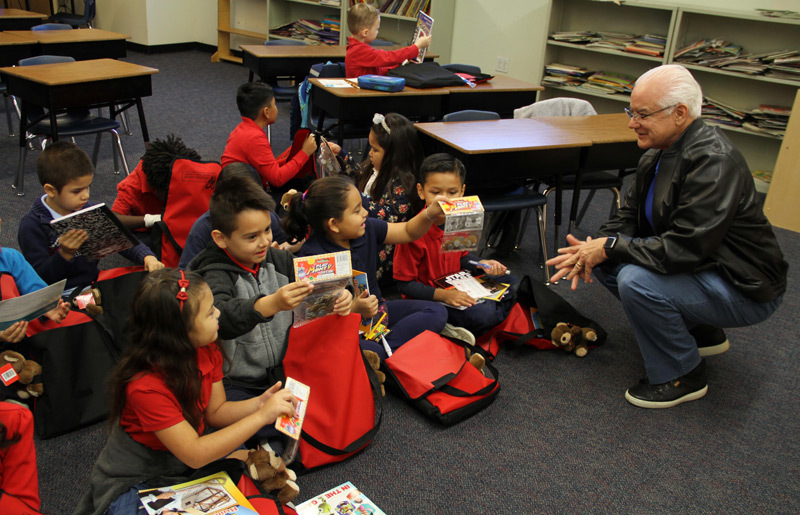 Click here to read more details about Operation Teddy Bear, including how the program benefits students, teachers and the community. As an Operation Teddy Bear Sponsor, you have first choice of partner school. Once you pick your school(s) and remain an active annual sponsor, that school will be yours as long as it is part of OTB. ...to let the students and families know of your generosity! If you have questions or would like to become an Operation Teddy Bear sponsor, please contact Liz Reinhardt at liz@volcenter.org or (310) 212-5009.